Do your part to protect our sea turtles. There are many things we can do to promote the survival of sea turtles. First, we must remember that we share the beach and ocean with many other species. Never approach turtles emerging from the sea or disturb or harass nesting turtles by making noise, shining lights or trying to ride them. To observe nesting turtles, join one of the many state-permitted "turtle walks" conducted by experienced guides during the nesting season. • TURTLE FRIENDLY LIGHTING: Turn off, shield or curtain all outside & inside lights that shine on or are visible from the beach from 9 PM to 7 am. No flashlights, flashbulbs or bonfires on the beach during nesting or hatching season. • LEAVE BEACH CLEAN AND FLAT: Place all trash in proper receptacles; fill In any holes you dig and flatten your sandcastles. Never leave toys, chairs, floats, towels, etc., on the beach! These things entrap and obstruct nesting females and hatchings. • Do not dispose of plastic bags in the ocean. Plastic bags in the ocean very closely resemble a favorite food of sea turtles (jellyfish) and will cause death or illness to the turtle that eats them. • DO NOT DISTURB! If you see someone harassing a sea turtle or poaching a nest, call the local police or the Florida Marine patrol. Stay clear of marked sea turtle nests on the beach. DISTURBING A SEA TURTLE NEST IS A VIOLATION OF STATE AND FEDERAL LAWS. • BE CAREFUL WHILE BOATING to avoid collisions with turtles and never throw trash in the water or on the beach. If you find an injured or dead turtle in Florida, call the Florida Department of Natural Resources or the Florida Marine Patrol (1-800-DIAL-FMP).The information gathered may prevent further losses. • BEACH CAUTION AFTER 9 PM: If you are on the beach and see a turtle crawling out of the Gulf or digging a nest, remain quiet and keep your distance. Never stop a turtle coming from or returning to the water, or interfere with hatchlings headed for the water. • LOOK BUT DON'T TOUCH ! Cages are placed over nests on the beach due to lighting problems. These cages, controlled by Florida-permitted turtle workers and protected by Federal law, keep the nests safe. When you register your boat, you can purchase a sea turtle sticker to support the Florida Department of Environmental Protection Conservation Program. If YOU find an injured or dead turtle in Florida OR hatchlings wandering in a road, parking lot, or in directions other than toward the water, , call the Florida Department of Natural Resources or the Florida Marine Patrol (1-800-DIAL-FMP).The information gathered may prevent further losses. call the Florida Marine Patrol (1-800-DIAL-FMP). State of Florida Bureau of Protected Species Management 3900 Commonwealth Boulevard MS 245 Tallahassee, Florida 32399-3000. 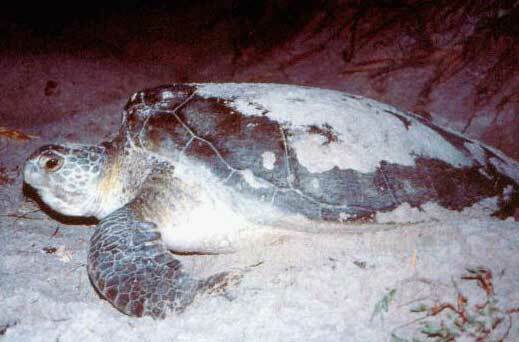 If you see a marine turtle being harassed or a nest being disturbed, call the Florida Marine Patrol (1-800- DIAL-FMP). 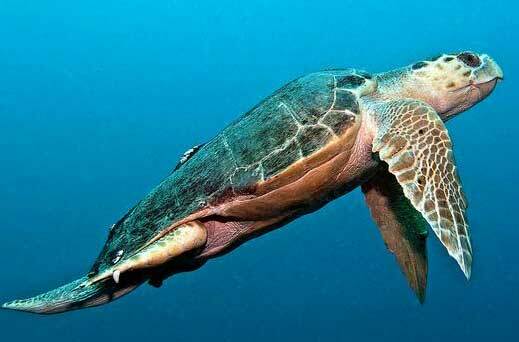 The Federal Endangered Species Act lists all five species of sea turtles in Florida as either threatened or endangered. Anyone found harassing a sea turtle or interfering with the nesting process faces criminal and civil penalties. If you see a marine turtle being harassed or a nest being disturbed, call the Florida Marine Patrol (1-800-DIAL-FMP). Sea Turtles in Florida are protected through Florida Statutes, Chapter 370, and by the United States Endangered Species Act of 1973. Of those species that nest on Broward's beaches, green and leatherback sea turtles are listed officially as endangered and the Florida population of loggerhead sea turtles are considered threatened. Briefly, these laws state that: "No person may take, harass, harm, pursue, hunt, shoot, wound, kill, trap, capture or attempt to engage in any such conduct to marine turtles, turtle nests, and/or turtle eggs." Any person who knowingly violates any provision of the act may be assessed civil penalties up to $25,000 or a criminal penalty up to $50,000 and up to one year imprisonment. It is possible that a world in which sea turtles can not survive may soon become a world in which humans struggle to survive. If, however, we learn from our mistakes and begin changing our behavior, there is still time to save sea turtles from extinction. In the process, we will be saving one of the earth's most mysterious and time-honored creatures. We might just be saving ourselves too.